Mark Sutter is a former Criminal Prosecutor who’s Handled Thousands of Criminal Cases in Chicago & DuPage County. Navigating the criminal system can be a frightening experience, especially when you or someone you love is facing felony charges. Sutter Law Group, LLC is led by Mark Sutter, a highly respected DuPage County Criminal Defense Attorney in Illinois. What makes Mark special is his knowledge & prior experience as Cook County Criminal Prosector. While that may not sound like much to the average person, it means a great deal to clients he defends because he knows exactly how the State’s Attorney or Prosecutor will present their case. Whether you’re seeking a DuPage County Criminal Defense Attorney for a DUI, drug crime or weapons charge, OR need an experienced lawyer who’s handled complex criminal cases, Sutter Law Group, LLC will treat you with respect and care. His team has successfully defended people facing various types of criminal charges in DuPage County, Kane County, Cook County as well as communities throughout the Chicagoland area. He is committed to protecting your rights and exploring every legal avenue to win your case. Recognition is what separates Sutter Law Group from other DuPage County Criminal Defense Attorneys. In fact, Mark Sutter was recently named to the TOP 10 Criminal Defense Attorneys in Illinois and the TOP 100 Trial Lawyers in the Nation. The firm was extremely helpful in resolving a personal injury case. The attorneys helped us with every step of the case letting us know how the process would likely unfold, what information we needed to document, assisting with medical records, etc. We felt informed about the entire process and received great feedback and perspective from the firm regarding the settlement process. Based on our experience, I highly recommend the firm if you are looking for attorneys that are responsive and focused on ensuring you are informed about the process of your case and receiving a fair outcome. I had a serious legal matter that I needed to speak with an attorney about. I did my research via the internet and chose Mark Sutter due to his superb ratings and impressive client testimonials. When I had my consultation with Mark, I immediately knew why he had those high ratings. His knowledge, expertise and confidence really made a huge difference for me and my situation. I absolutely recommend Mark to anyone who needs to consult with a TOP lawyer. You can do no better than Mark. I received my 2nd DUI and was looking for a lawyer to represent my case. After going through 15 interviews with lawyers, they all said the same thing, that I was screwed. I was referred to Mr Sutter by a friend that he helped out a lot on his case with and I was convinced. I had a meeting with him and that he put my mind at ease. He wanted to fight it without a doubt and was ready for anything. He gave me a price and worked with me on a very affordable payment plan. After half a year of court visits, we finally closed the case today and may I say I am extremely happy with my outcome. My punishments are completely fair and the state went a lot easier on me than I thought. Mr Sutter will fight for you and you will not regret it. Intelligent, determined, sophisticated and an all around great guy. You want Mr Sutter on your side, trust me. I was so scared when I was convicted with a DUI, I didn’t know what to do or who to turn to. I feel beyond blessed and thankful for Mark. He took care of everything in the courtroom for me , he is very intelligent knows exactly the ins and outs of how the system works to get the best possible outcome for his clients. Without him I would not be driving my car right or be stuck spending thousands in fees. Thanks to his knowledge and persistence I got the lowest possible charge possible, and for a DUI – 1st offense what Mark got me is basically unheard of. One court case is all it took, and it was quick. I feel very thankful , I would recommend him to ANYONE. Trust me , he is the best and he will get it done . Let Me Start Off, By Saying Thank you for everything you did for me and for BEATING THAT PISTOL Case for me! i cannot Thank enough! You we’re patient! You sought details, and much much more! I am pleased with your services and of course the outcome! We need more like you Mark P. SUTTER! THANK YOU AGAIN! Where do I begin….Mark was referred to me by a friend to help me with a very serious legal matter that was life altering. From the time I walked into his office until the day of the trial he was confident but not cocky, friendly, understanding, and experienced. This matter lasted over a year and I can honestly say over the course of that year Mark became a friend. He knew exactly what to do and when it mattered most, he was aggressive in the courtroom which ultimately led to my ruling of “not guilty”. I went from being hopeless and helpless to getting my life back. Words cannot express how thankful I am to have had Mark represent me. He really is one of the best. Mark is truly the best lawyer and a true professional. He handled my case with confidence and calmed me in my worst moments. He is well respected in his profession and his confidence with my case is what caused me to retain him.I’m a professional and I needed to protect my career and Mark made all that happen. I was truly amazed how he handled my case and he always kept me in the loop with what was happening. Mark was great at getting my case sealed/expunged. I consulted with Mark before we could proceed with filing the paperwork and once the time came Mark filed the paperwork promptly. Everything went smooth and when something popped up, Mark was on top of it right away. Mark gave me a promise that we were going to be able to get my case done and he followed through with that promise. I am glad I chose Mark to take my case and would recommend him to everyone. Thanks Mark! The work Mark did far exceeded any expectation I ever had. Not only did he mean everything he said, he fought for it. Never met a more dedicated, committed, passionate and honest person before, like Mark. He explained things thoroughly, kept me up to date on what was going on at all times and his communication was A+ – he was always on the ball. He is hands down the counsel you want in your corner! Mark was completely professional through the entire process. He was accessible during my case as I had very little knowledge of the process. He did not hesitate to answer any questions. He was honest but professional while answering them as well. Mark worked with me on making payments for his fees as well. The fees are what they are, and you get what you pay for, but I had no problem paying every dime to Mark as he worked with me on a payment plan. Most importantly Mark DELIVERED on the ruling we spoke about him getting. 5 Stars. Mark was on top of everything. Once I talked to him over the phone and especially once we got to court, I knew I was in good hands. Honest, confident, and very dedicated. Great lawyer! I hired Mark Sutter to defend me in a traffic violation. He was fantastic. Since I am a relatively young driver if I had not gotten supervision my insurance rates would have sky rocketed. I was unable to attend court, but he handled everything better than I could have expected. Not only did he get the results I wanted, but he also communicated everything and was on top of the whole case regardless that it was not a major offense. He was an excellent lawyer and I would use him in the future for any issues I may have. 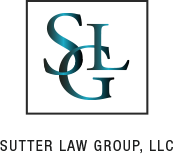 I would highly recommend the Sutter Law Group, LLC for your legal representation needs. Mr. Sutter is very efficient, a great communicator, wants the best for his clients and very easy to work with. If I ever need legal representation again, Sutter Law Group, LLC will be a the very top of my list of people to call. Mark Sutter was amazing. Not only did he address and reduce my legal concerns, he did so with amazing confidence and swagger. No other attorney could have taken my case and gotten the results he did. He was able to get 2 felonies (one being a class x with a mandatory 6 year sentence) and 1 misdemeanor of 2 tossed. I ended up with a small fine and only 18 months of supervision. No convictions. He was excellent threw the whole process. I had originally contacted a few other attorney’s but went with Mark after only a 5 minute phone call. That’s how confident he made me feel immediately. I WOULD LIKE TO THANK MR. SUTTER from the bottom of my heart for all his dedication to my Son’s gun possession case. Not only was Mr. Sutter professional, loyal, hard working but was also compassionate and friendly. He fought against all odds and was victorious in defending my son and clearing him of all 16 charges. He proved my son to be innocent. He was friendly and even gave us payment plan and a discount. Again thank you from the bottom of our hearts. Mark Sutter made the very best out of a tough situation. He got my brother’s time reduced by 50%. This was an incredibly tough time for my family. I was referred to Mark by a relative. The moment I met with him was the moment I felt I could trust Mark to handle my brother’s case. From that moment to the moment the case concluded, Mark was accessible, transparent, attentive, timely, dependable, and diligent. Mark was on top of everything and never missed a court date. He was compassionate towards my mother, who had an incredibly difficult time as well. He worked with her and my brother to make the best out of a very tough situation. He provided updates to the family regularly and provided council throughout the case. Even as the case concluded, Mark fought through every moment to ensure my brother had the best possible situation and actually have a chance at a life. He continues to do so. Mark was there for us as a lawyer and as a champion. I highly recommend Mark Sutter. I would like to thank Mark for all he did for me through a long process. He was right every step of the way. Mark is a shark. He attacks. He is the guy for any job. Very professional, knowledgeable, honest, trustworthy, full of integrity and can get a deal done! I highly recommend Mark Sutter of Sutter Law Group and staff and will be retaining their services again in the future for all my legal needs. When my son was charged with several felonies, one of which was a Class X Felony, I knew I needed to find a lawyer to represent him with the same resolve and determination that I would if I were a lawyer. I spoke with several attorneys but my meeting with Mark Sutter gave me the confidence that he was the one I was looking for. He listened to the circumstances surrounding my sons arrest and asked me some questions. He looked me in the eye and made a promise to save my son. Mark clearly has the respect of many influential people in the legal community. He meticulously explained his strategy for defense and answered any questions I had. He kept me updated on the progress of the case every step of the way. Mark’s confidence and expertise resulted in the Class X felony being dismissed along with another charge. The remaining charges were substantially reduced during sentencing. Mark kept his promise to me to save my son and for that my family and myself are forever grateful and wouldn’t hesitate to recommend him to anyone looking for an outstanding attorney. Thanks again Mark. I simply cannot say enough great things about this man. He was always prepared and kept me informed of my responsibilities throughout the process. It was not the most enjoyable experience in my life, but I was beyond grateful to have Mr. Sutter on my side. I could have been charged with 11 felony charges and he got me Deferred Prosecution which is unheard of. His service went above and beyond what I expected for my case and I appreciate his help. He is the ONLY attorney you want on your side. Due to an excessive speeding case, I was in need of a lawyer to help resolve my issue. I hired Mark and he was nothing but professional and very intent on getting my case expunged. He would respond to all emails and questions in a timely manner and ended up making this process very painless. I would recommend Mark to anyone as he is the complete package for an attorney. 10/10! Mr. Sutter did an absolutely exceptional job on my felony case. He was recommended to me from several friends of mine and they had nothing but the best to say about him. So I took it upon myself to see what they were talking about and sure enough, from the second I walked into to his office, I knew I was in good hands. He gives you every piece of information that you may need to keep yourself at ease throughout the entire process. Going through a case is an extremely stressful period of time, and he does everything he can to keep you at ease and to assure that everything will be alright. Although he may be busy at times, he always gets back to you by the end of the day. He got me supervision on my dui and and probation on my felony case. Mark is an incredible person and a very professional attorney, he took care of our case without any problem with a single court visit. If you have any problems with the law I highly recommend you to hire Mark Sutter. Mark Sutter represented my brother this past week, and I would love to just thank him for all his help. We had a few other attorneys come to represent him for the same cases and we didn’t receive the same results as we did with Mr. Sutter. He came in looking the part and most importantly he was able to yield the results we were looking for. He was so professional yet compassionate, I want to thank him for giving us the his expertise, and helping my family gain relief. I was able to talk to him and express my concerns, he listened and I really feel that he took my opinions and concerns seriously. Most importantly I would love to thank you guys at the office for maintaining a line a communication while Mr. Sutter was on vacation. I was able to call the office, and leave a message, and within the hour, I received a call from Mr. Sutter himself. I’m sure to him that seems very insignificant, but to me that means the world. He cared enough to return my calls and address my concerns even though, he was out of his office. I’ll never forget that! Mr. Sutter thank you so much, my family and I, greatly appreciate you. Having to deal with situations like this can be very stressful, and I just want to thank Mr. Sutter for making this process smooth. Being the advocate between my family and the court system. Thanks, for the advice, your professionalism, compassion, and being aggressive in court, helping us to get through this. Needless to say I’ll be calling him for any other legal matters in the future, there aren’t too many upstanding guys like him. I recently got into some unfortunate trouble, and was in need of legal representation. I spoke to two different lawyers before seeing Mark Sutter. A friend had used Mark in the past for his legal representation and the case was hugely successful in his favor. After my free consultation with Sutter, I realized that he was the obvious choice to represent me. Mark was there every step of the way, and kept me informed about what direction we were proceeding in. His guidance and legal helped make an unfortunate event much less stressful. He delivered on everything that he promised and I walked away with a clean slate. I hope to never be in such a situation ever again, but if i find myself in need of representation ever again, Mark Sutter is who I will turn to, with no doubt in my mind. I retained Mark Sutter for several cases and found him to be extremely professional and caring for his clients. My cases were criminal cases and can be very stressful and unfair sometimes. Mark Sutter showed compassion and concern for the well being of his client. I have worked with other attorneys and found Mark Sutter to be the best in his field and would highly recommend him to anyone looking for an attorney . Mark Sutter is an attorney who wants to help not just take all your money like most attorneys do. We were truly blessed to have Mark on our side. His advise, his sharpness and knowledge is simply amazing. We can’t thank him enough for what he did for our family. I was in immediate need of representation. My son had been involved in an incident which resulted in his friend being rushed to the hospital. Never having the need for a lawyer during my life, I did not know where to turn. I made a few phone calls and was told that Mark Sutter would be the person to speak to. Mark was coaching a little league game when I called, but he excused himself from the baseball field to speak with me. Throughout the rest of the night, Mark was there when I needed him. His immediate attention and professionalism to my situation was amazing. He “held my hand” and walked me through each step. His calm demeanor put me at ease and turned a stressful situation into a manageable one. I would highly recommend Mark Sutter to anyone in need of an outstanding attorney. I wish I could boast I’ve only required Mark’s services one time (not the case) but I keep coming back for a reason. Nobody better. Nobody more congenial. And an Assassin in the Courtroom. Highly recommend. Mr. Sutter and his staff are fantastic individuals to work with. They are extremely professional and accommodating, and they truly care about their clients. The best in the area without a doubt. I was accused of something I did not do, and it was a very tough period for me and my family. Mark was there every step of the way and it was truly comforting. I simply couldn’t thank him enough, which is why I decided to leave this review. He took his time and was always responsive whenever something came up. A true professional who is excellent at what he does. My daughter had a DUI and Mark represented her. He was very kind and non judging. We always felt like he was doing what was best for our situation!!! A true gentleman, very reliable, intelligent and trustworthy. Mark Sutter has left me speechless. He not only cares abut his client but the family as well, he’s professional, understanding, emphatic and most of all he’s an attorney with compassion. I didn’t know what my family was going to do regarding our crisis. Mark stepped in immediately and began working on my fiance’ behalf and the out come was REMARKABLE!!! There are no words to describe what he means to our family and there isn’t any other attorney I feel would’ve handled our situation with the sincere care and attention Mark did. He truly cares about his client’s and their families, he has been a blessing to our lives. If you need an attorney that will sincerely represent you and your BEST interest, be honest with you and keep you informed every step of the way look no further. I don’t trust many people but I not only trust Mark Sutter but I believe in him and what he represents. I love him & pray God will continue to make him a blessing to his profession. Let me start off saying that these are my Husbands and my words. From day 1 when my Husband contacted Mark after a very stupid bad decision night, Mark promptly got to work. He explained how this was going to be a very long and hard road ahead and it was not going to be easy as I was looking at some very serious prison time that would of tore my whole life apart loosing my Business and my Family , but he needed me to be strong. Mark talked to me in such a way that I new right away I had a Friend and he genuinely cared about me as a man. After 10 months of court and Everything Mark had told me to do which I followed what he said to a tee the outcome was Intense but I will be able to start my new Life with my Family and my Business at home all because of Mark. Even when I felt so bad and disgusted in myself he brought me up by telling me how well I’m doing and how I’m such a good man and have changed for the better because of that 1 stupid night and I need to be here for my Family. We can never thank you enough Mark Sutter for everything you have done for me and my Family. I would recommend Mark to any of my Friends 10 x over . Mr. Sutter was referred to me by a friend when I was in desperate need of a good lawyer. The first conversation I had with Mr. Sutter about my case made me feel great about getting referred to him, it was truly a blessing this man makes you feel confident in your case and the amount of knowledge he has and aggressive attitude about winning made my day. In the end he proves his knowledge in this arena and makes you feel like you had a second chance. In the end his defense made us win, in the end him defending me was a blessing. Mr. Sutter exemplifies what you want in a lawyer. If you feel like your back is against the wall or there is no light at the end of the tunnel, not only will Mr. Sutter make your legal problems go away, but he’ll tell you so & how from the very beginning. Trust him. No worries. I’m hesitant to use the word “relaxing” but it was as close as you can get to that when enduring a potentially life-altering legal matter. Excellent work. Super-professional & extremely talented. Top-notch. My son was unexpectedly arrested and charged with a felony for a fight that happened eight months prior. Having no knowledge of criminal attorneys, I called a friend and asked for a recommendation. He highly recommended Mark Sutter. I called and left Mark a message explaining the circumstances and he returned my call within 5 minutes. He immediately had a game plan and advised what I needed to do until he arrived for the bail hearing that same afternoon. When he arrived, he was ready to go to bat for my son. I was extremely impressed that Mark was able to get my son out on bail with no bond posted. Think about it, how many parents have cash on hand if something like this was to happen to one of their kids? After the hearing, Mark patiently explained the process us. We just recently had our last court date and because of his expertise, my son received a misdemeanor on his record. I couldn’t have asked for a better outcome. Mark was a knowledgeable, responsive, and an exceptional attorney who serves his client’s best interest. If you are seeking sound legal advise, prompt service, and a great outcome, I highly recommend Mark Sutter! When I met with Mark, he made me feel like I was family. He was so passionate about my case. He would call me with the smallest details, and made things very easy and convenient for me. We would meet somewhere close to my house or job so I would not have to travel far. I always felt throughout the case that Mark had my back and everything would be alright. He is a fighter in the court room. He will make sure your side of the story is told and heard. At the end of the day, Mark took care of me and made me feel at ease. Everything worked out. I have recommended Mark to several friends and they all have had the same experience. I will continue to recommend Mark Sutter to anyone who has a legal issue. Mark is truly the BEST !!!!! I called Mr. Sutter on a workman’s compensation issues. We spoke for approximately 30 minutes and he was very informative and honest. He knew his facts and was very confident regarding all of the details. He spoke to the agency and everything was taken care of prior to going to court. Great Job. Mark Sutter is the consummate professional. In representing me in a domestic case that was dismissed, I felt that Mark Sutter was more than just knowledgeable, but a presence in the courtroom. I felt he and his staff personally cared about the outcome and I wasn’t just another retainer agreement. I would highly recommend he and his law firm for any legal issue that may come your way. From the day I stepped into his office I felt like he truly wanted to help me get the best care. I am very grateful for finding him and I highly recommend him. Mark is knowledgable, experienced, and always is available. I can’t THANK YOU enough Mark, for all you have done. YOU ARE, truly the BEST!! Mark is the kind of lawyer that delivers!! If he tells you something, you can 110% trust EVERYTHING he says!! He has represented several family members and friends and on every single occasion he has excelled and went far above and beyond expectations! He’s reasonable and fair!! Definitely a rare jewel!! I am very happy I was able to have Mark represent me in court. He kept me informed on every detail throughout the process, and he was always accessible when I needed questions answered. Mark handled himself in the most professional manner in all facets of my case. Mark was able to achieve what we spoke about as being the best case scenario in my situation. I would absolutely hire Mark again to represent me, and I would recommend him to any of my family and friends. He is an extremely intelligent and sharp individual, he treated me fairly, and with the utmost respect the whole way through. Thank you Mark! Mark did a great job on a battery case for me. It was a complex case that Mark navigated flawlessly. He was extremely aggressive, proactive, and his communication with me throughout the process was extremely timely and thorough. The outcome was fantastic and I couldn’t have been happier with his performance and or service. Mark is a great lawyer that I would recommend to anyone. I owe a great deal to Mark for getting the matter resolved without effecting my record and while being mindful of my monetary concerns. Great Lawyer! There is no case too small or too big that Mark Sutter cant manage. He is a very professional, knowledgeable, & respectful lawyer that will always give 110%. He and his staff has come through for my family and me on several occasions. This review is another way of thanking him for his legal services and great humanity. Life can be hard at times. Mr. Sutter took a hard time of my life and turned it into a very fortunate one. I really appreciate him for the work that he has done for me. He is the kind of person everybody should have beside them. Intelligent, well spoken, very knowledgeable at what he does. If you need a lawyer, trust me this is the man! To be concise, we had a terrible misfortune to deal with while still living in Chicago and could not find the help within our financial range to defend us with the prowess we felt we deserved. Researching everyone in the book, we never considered Sutter because of his high profile, but once urged serendipitously by a mutual party, we met with Mark. What a SIGH OF RELIEF. He worked within our capability to reciprocate him, and literally got a vastly exponential defense service and lasting friendship from one of the most understanding, intelligent, and tenacious human beings we’ve ever met. His perseverance and unwillingness to settle for less than victory allowed us to walk away as unscathed as possible. To be clear, he defended us against the State of Illinois in a bodily harm, false accusation case, which the state does not take lightly. Mark, who previously worked as a prosecutor for the state (nine years? ), knew the ins and outs, and we trusted him every step of the way. It took a while because of court logistics, but Mark never wavered. In the end, life is grand! Yes, life will throw you curve balls — pull the carpet from underneath you — but a blessing is being able to stand your ground with the aid of such expertise. Honestly, in a world of more and more law students over saturating the market, if there was anyone to ever aspire to, watch and learn. For an understanding of freedom, read esoterist Rudolf Steiner’s “The Philosophy of Freedom”… or just hire Mark Sutter. Mark is an absolute professional. He handled a battery case for me that was extremely complex and involved a high profile individual. Mark navigated the court proceedings and negotiations flawlessly professionally. He was extremely aggressive and did everything possible to get me the best possible outcome. Marks communication with me was great I was always informed of the ever changing situation and he was eventually able to resolve the matter in a way that protected my future and my livelihood. Mark is an extremely honest, hard working, and knowledgable lawyer. His investigations the case went above and beyond my expectations. I would recommend Mark to anyone that is involved in a criminal case as he turned a really awful situation into a manageable one and brought an outcome that left me with no record and was respectful of my monetary needs. I can’t thank Mark enough for his representation and for what he did for me. Fantastic lawyer and professional. Being accused of a crime can be extremely disrupting to your life. Depending on the criminal charge, you may be facing a monetary fine, jail time or other consequences. Because your future is in the balance, you need a defense attorney who is responsive and willing to take the time to understand your situation and case. When Attorney at Law, Mark Sutter, takes on a case he is committed to helping the client as if they were a member of his own family. As former felony prosecutor, he’ll review the case in extensive detail to identify any and all weaknesses in the prosecution’s case. This gives all our clients a strategic edge to ensure you’ll receive the most effective defense possible. If you need a DuPage County Criminal Defense Attorney to fight your case, we offer an initial free case consultation. Can I Get a DUI in DuPage County When I Wasn’t Driving? This story original appeared in the Chicago Tribune. READ MORE! Drug Induced Homicide Two charged with drug-induced homicide in DuPage County death. Outcome: CHARGES DISMISSED! This article originally appeared online in the Chicago Tribune. Another Criminal Defense Victory for Mark Sutter and the Sutter Law Group. This story originally appeared online in the Chicago Tribune. Mark Sutter is a member of the Lawyers of Distinction. A nominating peer group recognizing the Top 10% of attorneys practicing in the United States. Guns and drugs in defendant’s vehicle – Case DISMISSED! Caught with Kilo of cocaine, loaded guns, and $300,000 cash – NOT GUILTY! This story originally appeared online at ESPN. This news article originally seen online in the Chicago Tribune. This article originally appeared online at Northwest Indiana Business Headlines. RECEIVE A FREE LEGAL CONSULTATION!